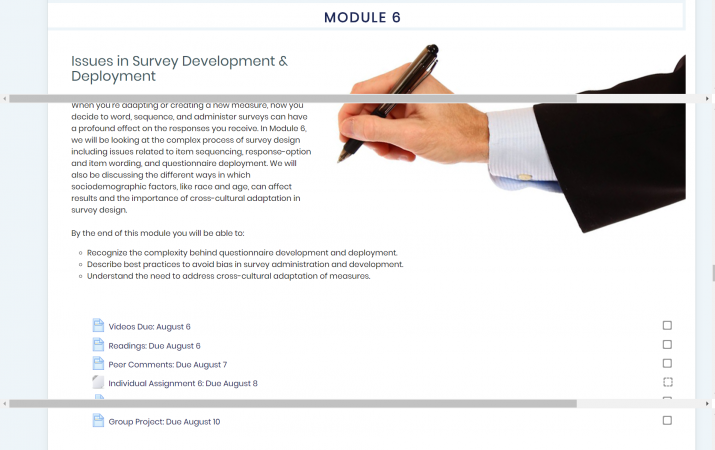 Online learning management systems are notoriously ugly and unfriendly to users. 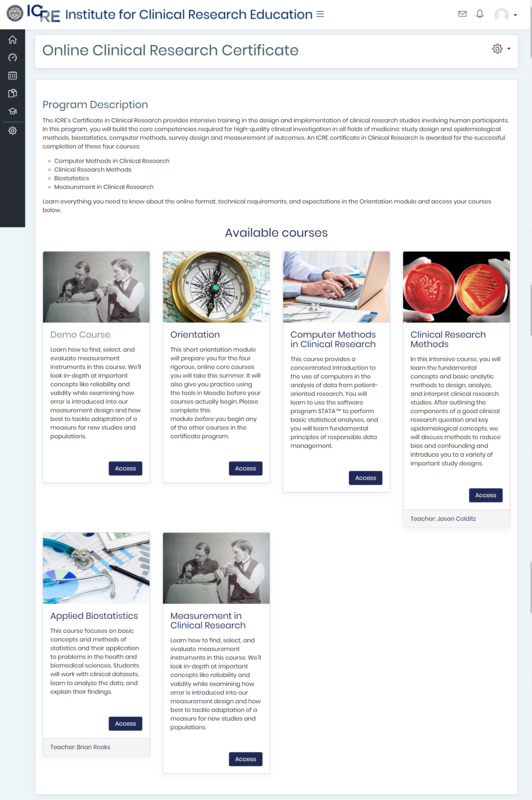 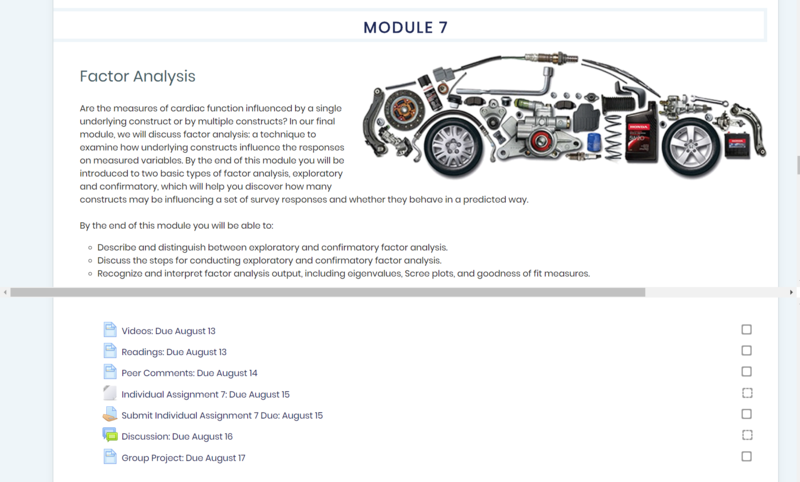 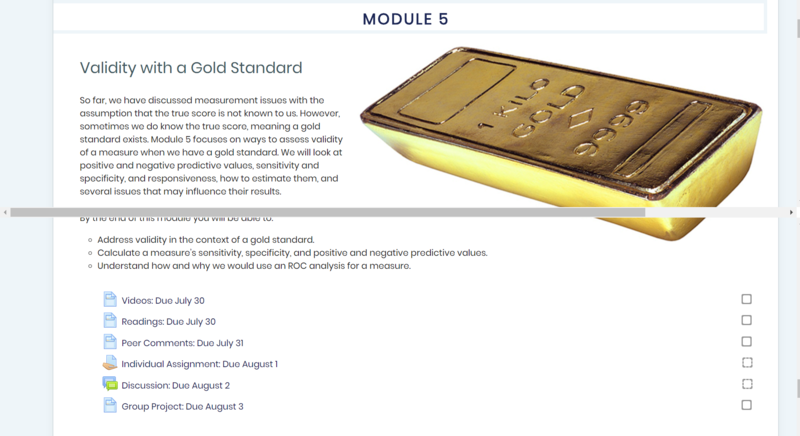 So when the Institute for Clinical Research Education at the University of Pittsburgh decided to launch an online certificate program, they made the aesthetics and user-friendliness of the learning management system a priority (which was one of the main reasons they chose to operate the program through the Moodle platform). Starting with a popular theme for Moodle, I made changes to settings and to the underlying code, added high-quality photos, and designed a site that was both attractive to new students and pleasant to use.